Gutter guards are advertised as being able to prevent your gutters from clogging with leaves, as well as water and debris — thus saving you from what could be a dangerous household task. Cleaning gutters is no fun at all! However, not everyone agrees that gutter guards are worth the cost, time, and effort to get them installed. Mesh gutter guards – these metal sheets (filled with tiny holes) attach to the roof shingles and cover the gutter. Reverse curve gutter guards – these position the water downward while directing the leaves to fall to the ground. Bottle brush gutter guards – these are made of bristles that face upright inside the gutter. The debris rests on top while the water flows away. Nylon gutter guards – these work exceptionally well in the winter due to their unique design which prevents snow from building up and freezing. Foam gutter guards – these are actually made of plastic that fits directly into your gutter, helping to block the debris from going into the gutter. HGTV says you should definitely use gutter guards. They give instructions on how to install mesh type gutter guards and keep them clean… but I thought the idea was to not have to clean them! Tom Kraeutler discusses whether or not gutter guards are worth the cost. While gutter guards are not necessarily maintenance free, he feels that they can lessen the amount of labor and possibly prevent unnecessary falls. The good news is that after 10 years of research and lots of personal trial and error, he has finally found a gutter guard that he feels comfortable recommending. His pick for the best gutter guard system is MasterShield. If you want to spend less time cleaning gutters, then yes – gutter guards are definitely something that should be considered. Just don’t expect that they will be maintenance free. Some debris will inevitably collect on top of the gutter guards themselves. However, it should be much easier and quicker to clean it off the top than to dig into clogged gutters to remove handfuls of leaves, seeds, and twigs. That said, some gutter guard systems are harder to clean once they become clogged — so choose your gutter guard system wisely! In some cases, the cost of the gutter guard system can cost more than several years’ worth of professional gutter cleaning. Therefore, depending on your situation and how many trees are around your home, it may make more sense to pay a professional to clean your gutters annually instead of paying for a gutter guard system that may fail. Also, if you have a house with gutters that are 2 or 3 stories tall, you should consider hiring a gutter cleaning service for once or twice a year cleaning anyway — whether you have gutter guards or not. It’s too dangerous to clean gutters that high off the ground. They can be added to existing gutters. 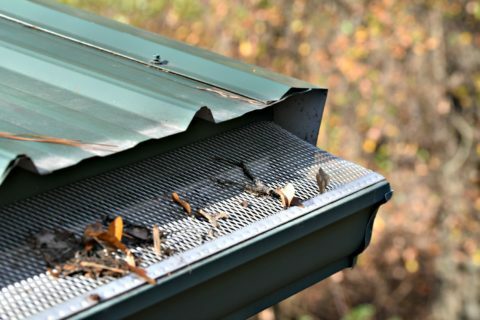 Gutter guards prevent birds and rodents from building nests in the gutters. They eliminate the need to clean your gutters frequently. 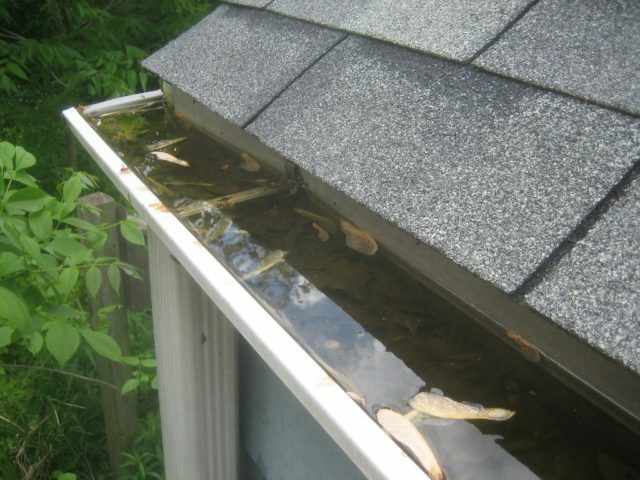 Gutter guards prevent the build-up of stagnant water in your gutters, which could otherwise back up and overflow into your home or serve as a breeding ground for insects. Your gutters will last longer, since they won’t prematurely rust and rot from the moisture and debris sitting in them. Gutter guards enable more efficient rain water harvesting by improving the flow of water and filtering out some contaminants. You can even get heated gutter guards that will melt icicles, ice dams, and snow. Here are 10 reasons to install leaf guards on your home + 5 more reasons to install gutter guards. Gutter guard installation can be expensive. They can cost anywhere from $700 to several thousand dollars. They are not 100% foolproof. Gutter guards still need occasional cleaning. Exaggerated ice issues are common, since melting snow and ice build-up react differently with gutter guards. Some gutter guard systems are practically ineffective, so you must shop carefully. Beware of the hype of high-pressure salespeople. If you ever lean a ladder against your gutters (when cleaning them or hanging Christmas lights, for example), the gutter guards will become dented. This will lessen their effectiveness from that point forward. The additional weight of gutter guards could cause your gutters to sag in the center. If you happen to have a steep roof or valleys (where downward-sloping sections of roof meet and water runoff is heavy), the water can overshoot the gutter guard itself. Tree seeds can get caught in the gutter guard slots and sprout, forming gutter trees — and some types of tree seeds grow rather quickly! Here are 5 reasons to not install gutter guards + 5 more reasons to avoid gutter guard screens.